I love, love, love the story of The Little Red Hen. Probably because I have a very deep rooted sense of justice and I love to see the selfish farm animals salivating as the Little Red Hen refuses to share her fresh baked bread with them. However, when reading this book out loud to kids (it's part of kindergarten curriculum at my school), this message feels pretty harsh - especially because character education (Excellence, Perseverance, Integrity, Compassion) are a big part of our school culture. As much as I love The Little Red Hen, it leaves a little rattled and unsatisfied at the end. 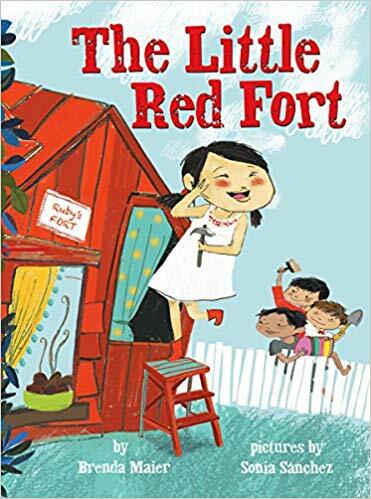 Which is why I LOVE LOVE LOVE The Little Red Fort by Brenda Maier! And, making it even better, Maier's characters are Latinx. 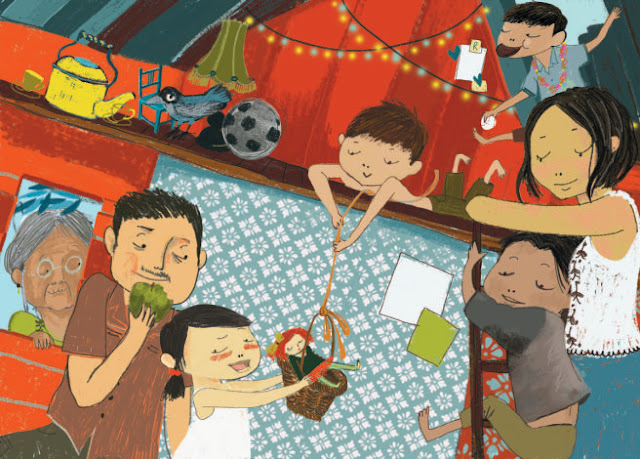 My students are almost 90% Latinx and it is always a HUGE treat when I can read them a book where the characters have names like Rodrigo, Oscar, and José because they get SO excited when kids in books have their names. And, of course, I love a book where a girl gets it done. 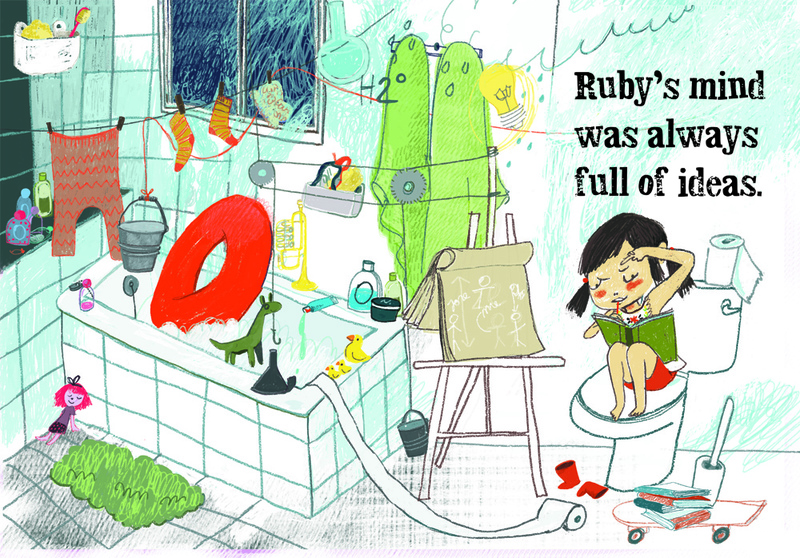 Ruby decides to build a fort and, every step of the way, asks her brothers for help. Met with disdain and indifference, Ruby gets help with sawing, hammering and more from her mother and her abuela. Echoing the original story, Maier has a catchy refrain that the brothers repeat every time Ruby asks for help, "'Not me,' said Oscar Lee. 'I don't think so,' said Rodrigo. 'No way," said José. 'I'm too busy.'" Maier finds a way to end her story that is satisfying and organic to the plot. When Ruby finishes her fort and tells her brothers that they can't play in it, they try to keep up their indifference. In the end, they each do or make something that adds to the fort, painting, making a mailbox and planters. And, together, the whole family enjoys chocolate cookies in the little red fort! 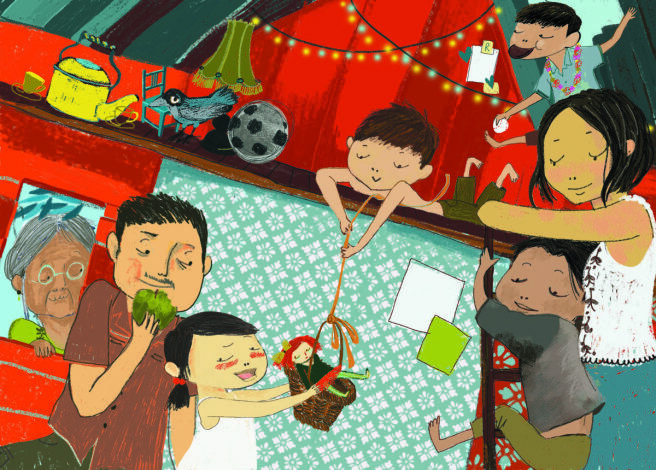 Sánchez's illustrations are filled with texture, pattern, detail and playfulness. And emotion! Seemingly, with only a few lines, Ruby experiences a range of feelings over the course of the story, from intense thought to frustration to elation.